With so much fear, resentment and recrimination flying around these days, with everybody so trigger happy to blame everybody else for the mess we feel ourselves in, and with facts themselves coming under almost constant assault not just from political figures but from their followers as well, aided and abetted by Facebook among others, it sounds strange to say it was oddly comforting to listen to someone talk about terrorism last night. 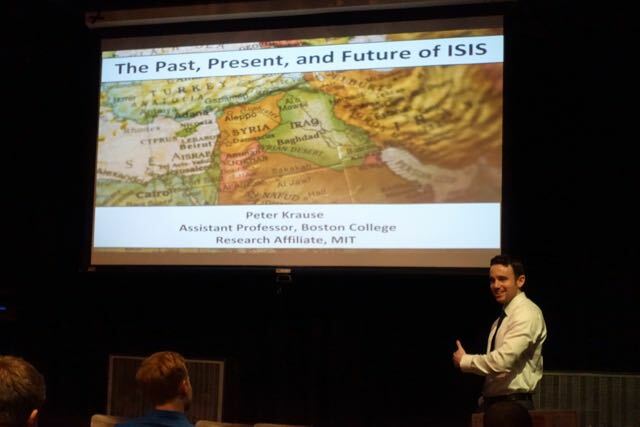 The greatest challenge to the terror group isn't the West according to Krause, it is the Muslims who live peacefully and happily in Europe and North America. This notion is anathema to everything that ISIS is trying to achieve. He noted that although all regional and international players can't agree on much, they do agree on one thing: ISIS should be destroyed. Even Al Qaeda, from which ISIS emerged, holds them in hostility. Though U.S. policy options are constrained on many fronts, his analysis of the options facing the incoming Trump administration was thought provoking. For one, it reminded the audience that notwithstanding Trump's outlandish statements, the new president will face the exact same challenges on his first day in office that President Obama faced on his last, and those challenges come with limitations. American military power without political will cannot win the day. In the case of Syria, which is a humanitarian disaster of almost unfathomable proportions, over 400,000 killed over the last four years in a country less than one-tenth the size of the U.S., Trump might cede leadership to Russia, given his apparent embrace of Putin and because Russian determination to keep Assad in power far outweighs America's willingness and capability to impose or broker other outcomes. 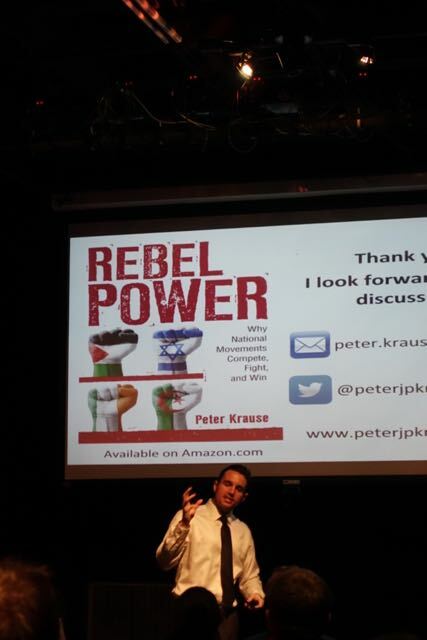 Krause's new book, Rebel Power, is published by Cornell University Press and available on Amazon. 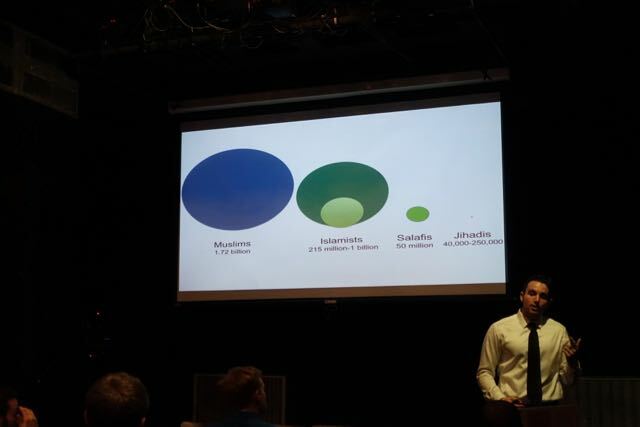 If last night's talk is any indication, it is worth a look. The occasion for last night's gathering was the Civic Series, a public forum founded in Boston by Laur Fisher and organized by her and Rachel Abrams, with the moniker "Now You Know." The Civic Series aims to empower through knowledge on topics that are timely, current and relevant. The next Civic Series talk in Boston will be on January 12, 2017 at Workbar in Cambridge. To find out more, visit the Civic Series website: http://civicseries.org/.